Simply stated, motorcycle fairings are plastic or fiberglass shells that surround part, or even all, of the front half of a motorcycle. Motorcycle fairings are primary used on racing motorcycles and sport bikes, and while the primary purpose of a motorcycle fairing is to reduce air drag, they can also protect the rider, frame, and engine from airborne hazards, wind-induced hypothermia, and damage from accidents. 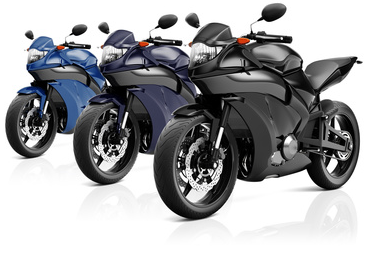 Motorcycle fairings can also transform the look of a motorcycle, giving it a sleek, aerodynamic, and modern aesthetic. One of the major benefits of a motorcycle fairing on sport touring and touring motorcycles, beyond the additional safety, is a reduction in fuel consumption. This can allow for taller gearing, which in turn, increases engine life. Originally, motorcycle fairings were basic in form and function, often limited to cowlings put around the front of the bike. Over time, they have now become an integral part of a motorcycle’s design. From encasing headlights and instruments to encasing the front mechanical parts and seat, fairings can help reduce drag weight and even improve handling. It’s important to select the right motorcycle fairing for your bike, and that’s where we come in. With full motorcycle fairing kits, fairings brackets, and fairing bolt kits available on our site, you can be assured of a quality fit and a sleek new look for your motorcycle. We offer a wide range of different styles to fit most motorcycle models and our team is available if you need help selecting the right motorcycle fairing for your needs. Interested? 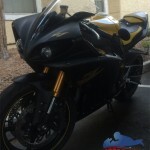 View our most popular motorcycle fairings here!